In the Autumn Term, Platts Heath Primary School took part in the Perfect Packed Lunch Awards. The Children had to design either a genuine or imaginary packed lunch. We had lunches for different clebrities as well as princesses and fairys. Hetty from Nesbit Class was a finalist for our school with the perfect lunch for Darcey Bussell. 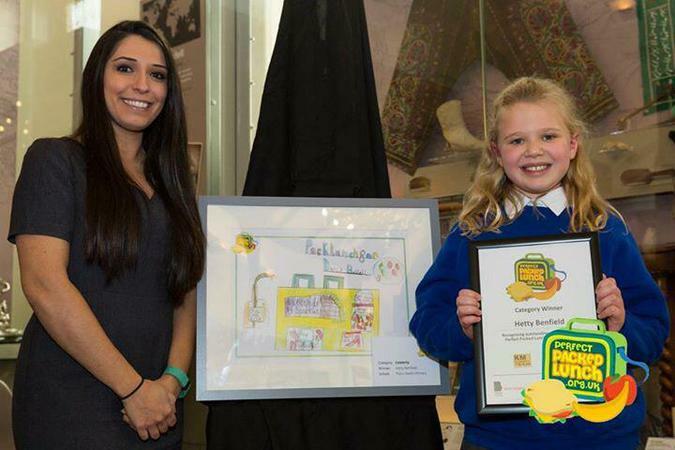 Hetty was lucky enough to attend the awards at the Beaney Museum in Canterbury and her work is currently on show at the Museum.